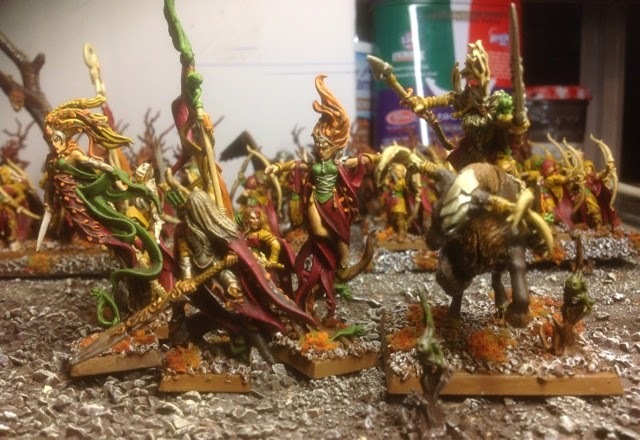 Here is the start of what I hope to be a regular series showcasing my completed armies. 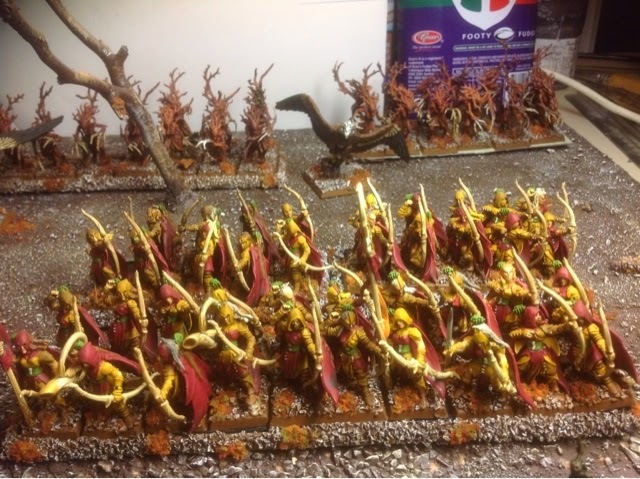 First up is the flavour of the month, wood elves. 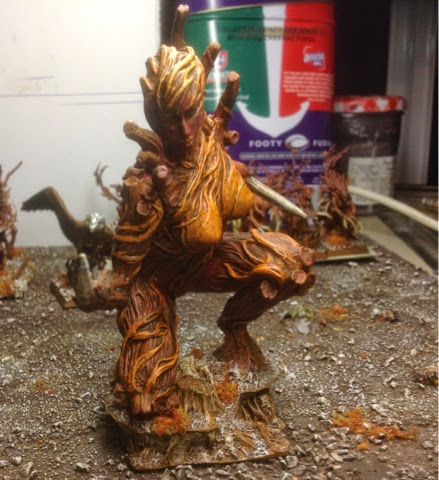 Unlike a lot of my armies, my wood elves only feature one non GW miniature being the excellent ultra forge tree woman. 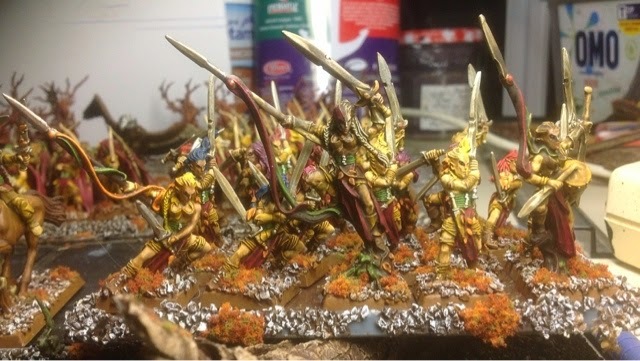 I picked this army up on eBay as a whole a few years ago when a new book was not even being talked about and have only had to purchase a few extras along the way. 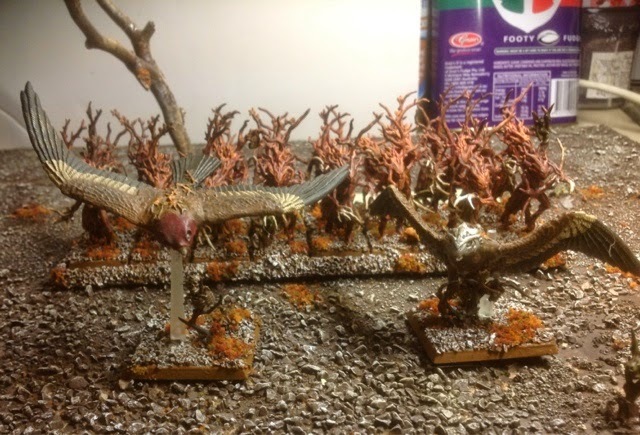 I remain a huge fan of the metal eternal guard along whom I will need to purchase some shields for under the new wood elves book. I am keen for some extra way watchers which I will convert using the archer bodies similar to the way-watcher hero which is below. 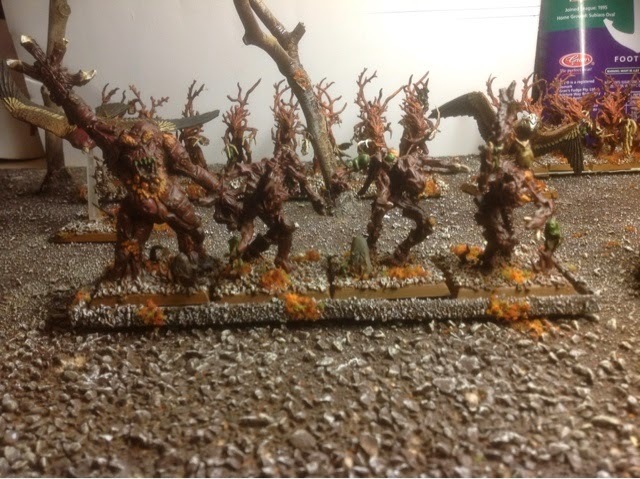 The army has an autumn theme and was painted using GW paints and then dipped using army painter medium shade. 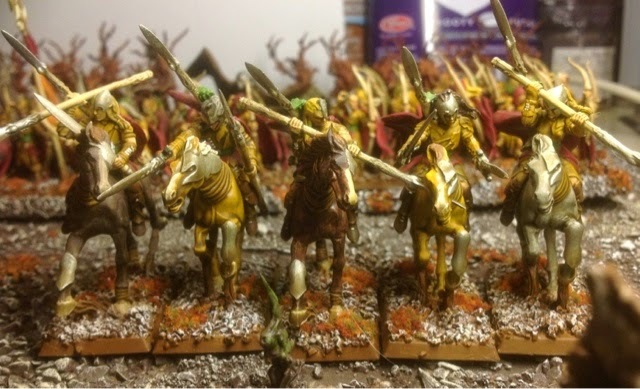 The eternal guard were deliberately painted darker to reflect their solemn task of protecting the lord of the army. They came out a little darker than I wanted due to the army painter dip being exposed to too much air which thickened it. 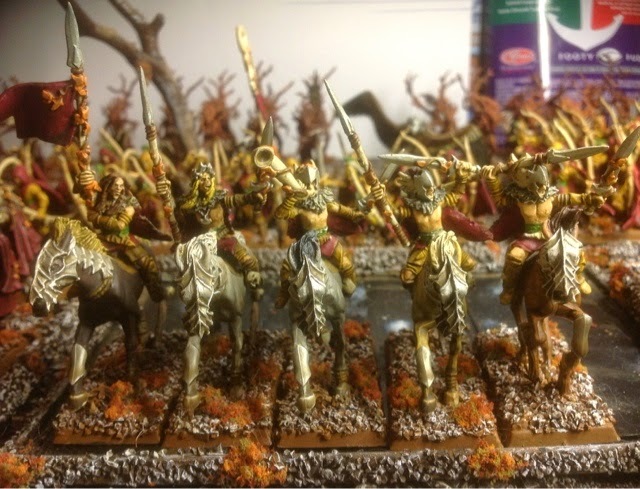 When I have time they will be stripped and repainted along with the wardancer hero and muso who suffered the same fate. 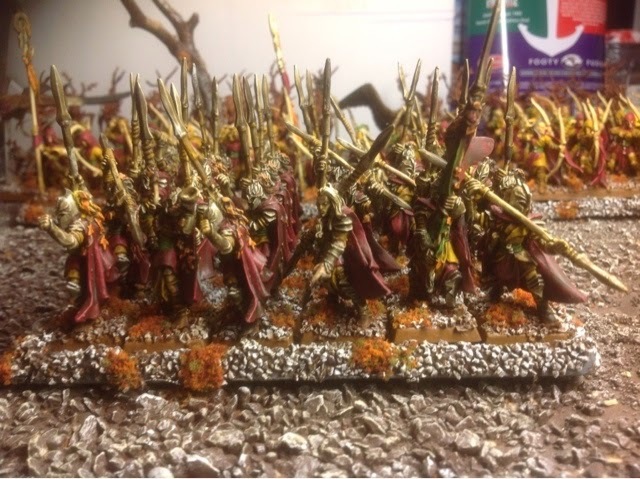 Overall I am extremely happy with the army and the display board I threw together pretty quickly before a tournament a few years back. I have not used them under the new rules which I hope to remedy over the next few months.